There is nothing quite like a traditional, homemade British dessert. Whether you have fond memories of your favourite childhood treats or you’re a keen baker and adore spending your Sundays testing new recipes, an ‘old school’ dessert is enough to brighten even the dullest of days. If you’re on the hunt for a classic new bake to trial or are merely feeling nostalgic and want to take a trip down memory lane browsing through the best of the nation’s desserts, then you’re in luck. We have devised our top ten British desserts; from a knickerbocker glory to an arctic roll! Britain has a renowned history for producing a wide variety of different mouthwatering desserts that have grown in popularity around the world. During her reign in the 1600s, Queen Elizabeth I, in particular, gained quite a reputation for her sweet tooth and true love for the most sugary of dishes. Queen Elizabeth used food to represent her wealth and power, incorporating her favourite ingredient, sugar, into almost all of her dishes. The Elizabethan era was one of the first in its time to begin producing lavish desserts, the most popular being marchpane, which we now know as marzipan, along with gingerbread. Over our many years of experience providing catering in Milton Keynes and surrounding areas, we have been lucky enough to get the opportunity to sample a world of different desserts across the nation; some traditional and others a little more quirky. So, we thought that we would put together a list of our top ten British desserts, each of which are guaranteed to go down a storm at any event! Even the most novice of bakers will be able to accurately execute the perfect Eton mess. When creating this particular dessert, taste most definitely trumps presentation, which means that ingredients can be quickly put together and served in a matter of minutes! The history of Eton mess begins in Eton College, the all-boy’s school that both Prince William and Prince Harry attended as teenagers. It is thought that the school cook dropped a dessert just before serving, yet decided still to serve the messy dessert to pupils. It is now served annually at Eton College’s cricket match against their opponents from Harrow School. The ingredients required to create your own Eton mess are relatively basic, depending on whether you’re brave enough to attempt creating your own meringue or would prefer to skip the hassle, and pick up pre-made meringue. Taste.com have put together a super easy basic meringue recipe for beginners and even better, when creating an Eton mess, you don’t have to worry about creating perfectly nest meringues as they will be crushed up anyway. Along with crushed meringue, the only other ingredients for a delicious Eton mess is fresh strawberries, strawberry sauce and whipped cream! It is true when they say that the simplest of desserts are often the best; we can guarantee that this is the case when it comes to the arctic roll! Although the arctic role originated from Czechoslovakia as opposed to Britain, it didn’t take long for the 1950s dessert to win over the public thanks to the incredibly popular Birds Eye rendition. It is thought that during the 1980s alone, more than 25 miles worth of Birds Eye arctic roll were sold each month. Unfortunately, if you’re a 90s baby, you most likely wouldn’t have had the opportunity to sample the popular creation as the brand stopped producing the dessert in the early 1990s. Nevertheless, the arctic roll continues to remain a nation’s favourite and just like the Eton mess, is easy to create from the comfort of your home. As a simple three main ingredient dish, the arctic roll consists of a traditional sponge, strawberry jam and vanilla ice cream. Again, each component can be created from scratch or purchased from your local supermarket. If you’re interested in creating your own, take a look at this BBC Good Food recipe. If you’re a lover of syrupy, tangy tastes, then you’re likely to be partial to a slice of pineapple upside-down cake. As a popular dessert spanning as far as 1911, tinned pineapple rings were used to add a unique taste and texture to what was once just a plain sponge cake. For an additional splash of colour, chefs often took to decorating the pineapple upside-down cake with maraschino cherries, which still remains a popular addition nowadays. When baking a pineapple upside-down cake, the final appearance is achieved by placing an initial layer of pineapple rings to the base of the round cake tin tray before pouring in the cake mixture. For a glazed, sweet coating over the pineapples once baked, many opt to grease the cake tin with a creamy mixture of butter and brown sugar. For a full pineapple upside-down cake recipe, take a look at Delicious Magazine. As the perfect Sunday pudding after a monstrous roast dinner, you really cannot go wrong with a jam roly-poly and a side of custard! As an all-time great British pudding, the jam roly-poly was first created in the 19th century and features a flat-rolled suet pudding rolled with a jam filling. The jam roly-poly is known for having many appearance similarities to a Swiss roll, yet minus the chocolate and with a more crispy outer layer. It has won its name as the ultimate comfort food and is served chilled smothered with a warm layer of rich custard. Originally designed to use up all of the leftover cupboard staples and to avoid wasting stale bread, the bread and butter pudding is perfect to rustle up when you’re craving something homely and sweet. As one of the oldest recorded British desserts dating back to the early 1700s, bread and butter pudding was featured in The Compleat Housewife cookery book by Eliza Smith. The basics of a bread and butter pudding include layers of buttered bread that are sprinkled with raisins and coated in a layer of egg custard, then baked in an oven dish. To give a rich, delicious taste, spices such as nutmeg or cinnamon powder is added into the egg custard before cooking. The sticky toffee pudding is not best suited to those who do not have the ultimate sweet tooth. With a sugary toffee sauce and rich sponge cake, the sticky toffee pudding is one of the trickier bakes included in our best of British desserts. It is thought that the sticky toffee pudding was introduced to the UK thanks to a Canadian Air Force officer who was visiting Britain during World War II. While staying in a local hotel, he asked for the hotel manager to bake him a sticky toffee pudding and the word quickly spread across tonnes of hotels who also adopted the dessert and added their menu. When searching for the perfect sticky toffee pudding, you are guaranteed to find tonnes of different recipes online – we love Nigella’s sticky toffee pudding on the BBC Food Recipes website! As one of the, if not the most, versatile dessert, crumble can be perfectly tailored to meet your individual tastebuds. Due to the main ingredients being super adaptable, budding bakers can create their own crumble using whatever fruit they have to hand at home. Although the most traditional take on crumble includes the use of apples, in more recent years, mixed berries, rhubarb and pears have all grown in popularity. If you’re less of a fan of sweet recipes, then not to worry, crumbles can even be transformed into a more savoury dish – Woman & Home have a great savoury crumble recipe on their website if this is something that strikes your interest! Creating the crumble itself is, in fact, super easy and takes a matter of minutes. The only ingredients required is plain flour, caster sugar and softened butter; all of which are placed in a bowl together and combined using your fingertips. If you look forward to finishing off a meal with something a little sweet, however, are more tempted by a lighter dessert, then it is more than likely that a syllabub is your ‘go-to’ pudding. The most common flavour of syllabub is lemon, which is ideal after a heavy meal to cleanse and refresh the palette. Originally created with more of a drinking consistency, a syllabub recipe includes little ingredients, simply whipping cream, caster sugar, wine and the flavour of your choice. Thanks to the tiny list of ingredients, all that is required to create the perfect syllabub is to whip the cream and sugar until you reach a soft peak. Next the wine and flavouring, for example, lemon juice, can be gently mixed in. Once spooned into containers, the syllabub can be placed in the fridge to chill. Good Food Channel has an easy-to-follow lemon syllabub recipe, which is also a fantastic option if you are hoping to opt for something a little healthier. A knickerbocker glory is the ultimate childhood dessert. We all remember pleading our parents to try to persuade them to allow us to order the giant ice-cream sundae taking centre stage on the menu! Known as a ‘no bake dessert’, a knickerbocker glory is served in a large tall sundae glass and filled with layer upon layers of ice cream, colourful sweets and syrupy flavoured sauce – if this doesn’t give you a sugar rush, then nothing will! There is no real recipe for a knickerbocker glory as it really can be filled with absolutely anything super sweet that your heart desires. Whether it may be a chocolate-themed sundae, bubblegum-flavoured creation or filled with your favourite retro sweets, you can never go wrong with rustling up a delicious knickerbocker glory! Rice pudding is often seen as a ‘love or hate’ dessert. While some love nothing more than a bowl of warm rice pudding, others couldn’t think of anything worse! It has become an ongoing theme during our best of British desserts that little ingredients are actually required to create a sweet dish guaranteed to go down in history and the rice pudding is no different. Created from simply cooked rice mixed with water or milk, even a beginner to baking would successfully cook the perfect rice pudding. For an extra kick of flavour, cinnamon, raisins or a combination of both are added to the mixture to intensify the taste. Unlike many other popular desserts, rice pudding must be cooked for around two hours until the pudding has a ‘wobbly’ consistency. What Is Your Favourite British Dessert? We know you’re probably now hunting your cupboards and fridge for something to satisfy your sweet craving or putting together an ingredients lists to create your very own version of one of our top British desserts. All of the puddings included have a fantastic reputation in our nation’s history and luckily, are, in fact, super easy to make if you are hoping to try your hand at baking! If you are less worried about using DIY methods to create your own dishes, then why not let us take the weight off your shoulders at your next event. 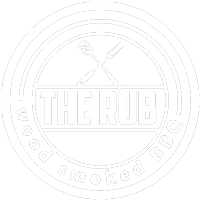 The Rub BBQ specialises in private events catering in Oxford and are more than happy to create a bespoke menu to enjoy with your special guests. We hope that you have loved our guide to the most delicious British desserts. If so, why not share these wonderful creations with your friends and family on social media?